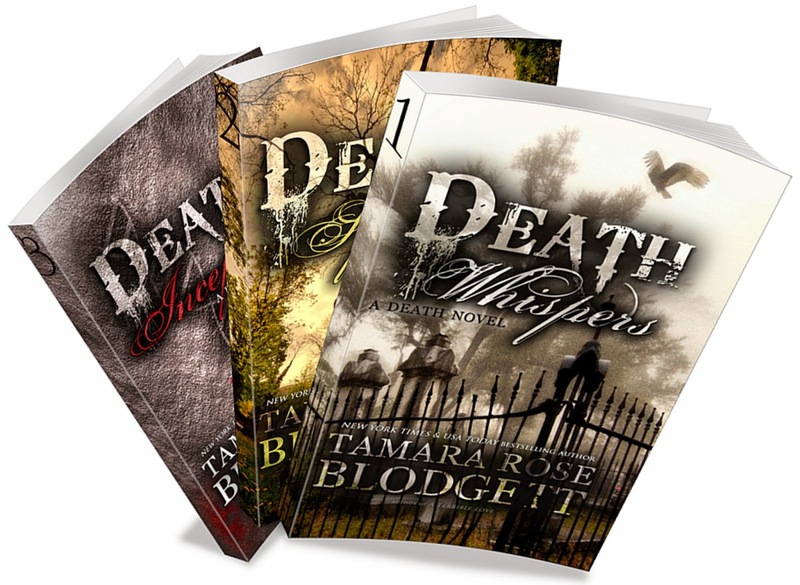 Books 1-3 of the Death Series in one volume: DEATH WHISPERS, DEATH SPEAKS & DEATH SCREAMS. After Caleb discovers he has the rare, Affinity for the Dead, he must do whatever it takes to hide it from a super-secret government agency whose goal is exploitation. Caleb seeks refuge in his new girlfriend, Jade, until he realizes that she needs as much protection from her family, as he does from the government. Kyle Ulysses Hart and his team of scientists mapped the human genome in the year 2010. As Brain Impulse Technology came online... so did the long arm of the United States government. A covert, military-driven regime was born with genetic manipulation the key to future widespread control. When pharmaceutical laboratories, funded by the Graysheets, discover a way to unlock paranormal potential through compulsive inoculation, their exploitative dream is realized. A lone teenager named Jeffrey Parker, falls prey when he manifests the rare, Affinity for the Dead. The Graysheets abandon all pretense of stewardship, ripping him from his family for their nefarious purposes. Can Jeffrey remain who he was destined to be in an environment exclusively built for mass control? (App. 24,000 word count. For ONLY 4 days Nov24-Dec27 ! I LOVE LOVE LOVE THIS SERIES!! So go get them!! !